The weather this week here at Del Valle has been beautiful. It has been chilly early in the mornings with temperatures rising into the low 90s by mid day. The hot bite this week has been catfish with many anglers hooking up. Water temperature is slowly dropping week by week, the surface temperature this week is 77 degrees. Our good friend Doc. Al Hurwitz came out this week with a couple of his friends to troll for some smallmouth and here is his report. 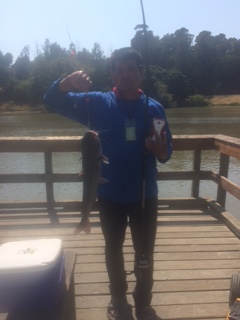 Catfish have been the best bet this week with many anglers pulling some decent sized cats out of the lake especially with our last catfish plant on 8/15/17 of 750 LBS. Average size this week has been about 5 LBS with the biggest being 11 LBS. Most anglers are using either anchovies, mackerel or night crawlers. Fish around fallen trees, tule patches and weed beds, for catfish the more cover in the water the better. Stripers have been on fire still especially early mornings up until about 11 o'clock. I've had many anglers come back saying they caught there limits on early mornings fish boils. If you do happen to pull up on a boil we recommend using small top water lures, or curly tail swimjigs. Stripers are still slamming on bait, either anchovies, chicken liver or cut sardines. 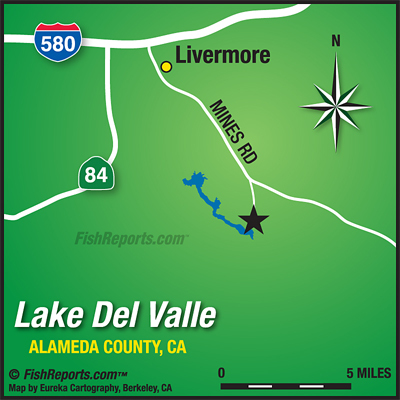 Best places to fish are in the lower narrows and out towards the dam.